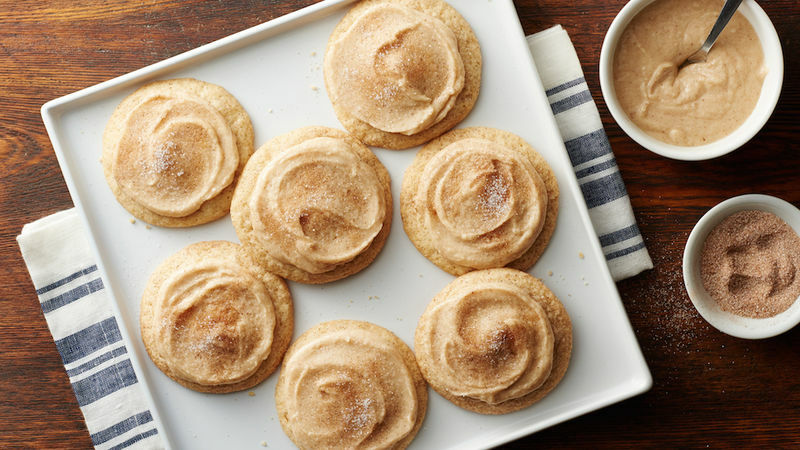 From tried-and-true classics like snickerdoodles and Russian tea cakes to easy twists like our irresistible salted caramel thumbprints, these top-rated cookies are our favorite recipes, and soon will be yours too! The name cookie is derived from the Dutch word koekje, which means “small or little cake.” Historians believe that the first record of cookies was when they were used as test cakes in seventh century A.D. A small amount of cake batter was baked to test the oven temperature, and thus the cookie was born. There are many different names for this delicious little treat that’s popular all over the world. In England and Australia, cookies are called biscuits; in Spain they are called galletas; in Germany, keks. There’s a reason the whole world loves cookies—try any one of these recipes and you’ll see why. Cookies first came to America through the Dutch colonists in New Amsterdam in the late 1620s. As explorers began traveling the globe, cookies were often the ideal travel treat due to their long shelf life. One of the most popular cookies, known across the world as the jumble, was a relatively hard cookie made largely from nuts, sweetener and water. But how could we discuss cookies without mentioning America’s favorite? Fifty-three percent of American adults prefer chocolate chip cookie over peanut butter. () The chocolate chip cookie was first invented 80 years ago, by American chef Ruth Graves Wakefield in 1938. While the original chocolate chips were made of semi-sweet chocolate, today there are many varities like mint chocolate, peanut butter, white chocolate and dark chocolate. Want to get your sweet tooth fix? There’s a cookie recipe for every day of the week (and then some!). Don’t stop there! We walk you through the best methods of making sugar cookies and how best decorate cookies for every occasion in our How to Make Cookies article.